Studio Principal, Angela Corkeron, is a Registered Teacher with the Royal Academy of Dance (RAD), and an Affiliate Teacher with the Commonwealth Society of Teachers of Dancing (CSTD) and the Australian Teachers of Dancing (ATOD). Since her first ballet lesson at the age of 7, her feet have hardly touched the ground. 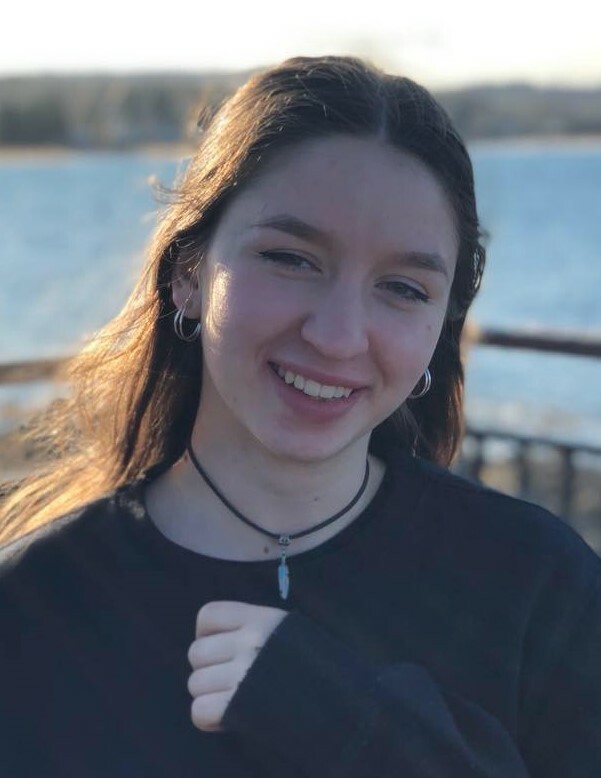 Angela’s passion is for as many people as possible to experience the joy of dance be it in class, attending performances or dancing down the street! Since starting Dance for Life! in 2005, Angela has found joy and fulfilment in nurturing others to dance. 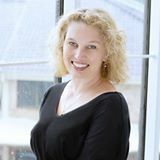 In recent years, Angela has worked as a Freelance Ballet Teacher, teaching and preparing students for RAD Ballet Exams at Dance Dymension [Katoomba & Faulconbridge], Barker Dance School [Glenbrook & Lapstone], Greater Western Sydney Dance Academy [Richmond], Nikki Webster Dance Studios [Minchinbury] and Turning Pointe Dance Studios [Cairns, Qld]. In addition, students from Bathurst to Penrith have attended her Studio in Blackheath for Private Ballet Coaching. In 2019, Angela is coaching Vocational Ballet Students at You Can Dance [Emu Plains] and is a Casual Ballet Teacher for The McDonald College After School program [Strathfield] and at Greater Western Sydney Dance Academy [Richmond]. In 2017, Angela became a MDM Mobile Affiliate, offering her services as a trained dance shoe fitter to Studios in the Blue Mountains and Western NSW. Angela believes in the importance of a well-fitted dance shoe and believes that the technology in MDM Ballet, Jazz & Contemporary Footwear offers great support for young feet. Growing up in Brisbane, Angela studied dance with renowned RAD Examiners and Teachers, Shirley McMahon and Barbara Eversen, before completing a Bachelor of Music degree (Piano & Music Education) at the Queensland Conservatorium of Music (1986). Her dance studies include the Royal Academy of Dance Certificate in Ballet Teaching Studies (2007) and completing RAD Advanced 1 Ballet (1983) and RAD Grade 8 Ballet (2005). At the age of 16, Angela choreographed [and played a leading role in] her High School Musical Performance at La Boite Theatre, Brisbane. Angela danced professionally in Qld Conservatorium Opera & Chorale Seasons at the Basil Jones Theatre and the Qld Performing Arts Complex, as well as in regional Musical Theatre in Melbourne. Angela also assisted Opera Qld with casting young dancers for performances in the mid 1990’s. No one is happier than Miss Angela, when she sees the students performing [with big smiles on their faces!] in the annual concerts at the Blackheath Opera House [aka Blackheath Community Centre!] at the end of November each year! Her enthusiasm for dance is infectious and at Dance For Life! students of all ages and abilities are welcome. 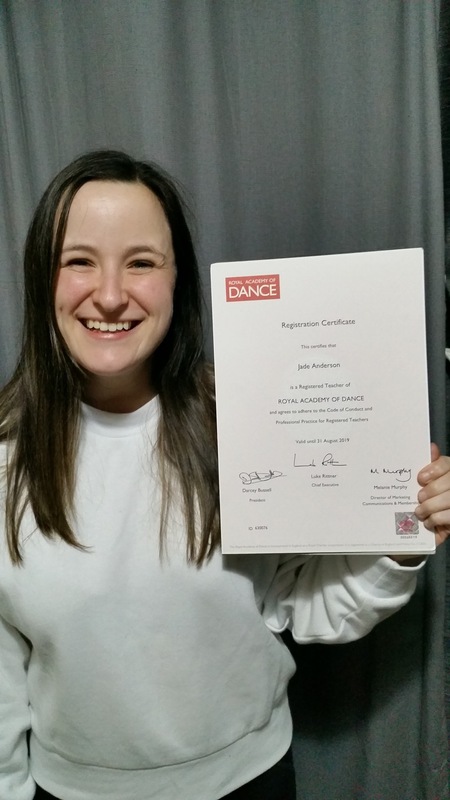 Congratulations Miss Jade on the successful completion of your Royal Academy of Dance Certificate in Ballet Teaching Studies, and your Accreditation as a Registered Royal Academy of Dance Teacher! Miss Jade has been teaching Ballet, Contemporary, Jazz, Tap and Boyzone Classes at Dance for Life! since 2015. A keen Ballet Teacher, Contemporary Dancer and Choreographer, Jade has choreographed many memorable Dances for our Dance for Life! Concerts – highlights include ‘Hearts on Fire’ [ 2015], ‘Dark Forces’ , ‘Cockatoos’ and ‘Sails at Sunset’  and ‘Winter’ . 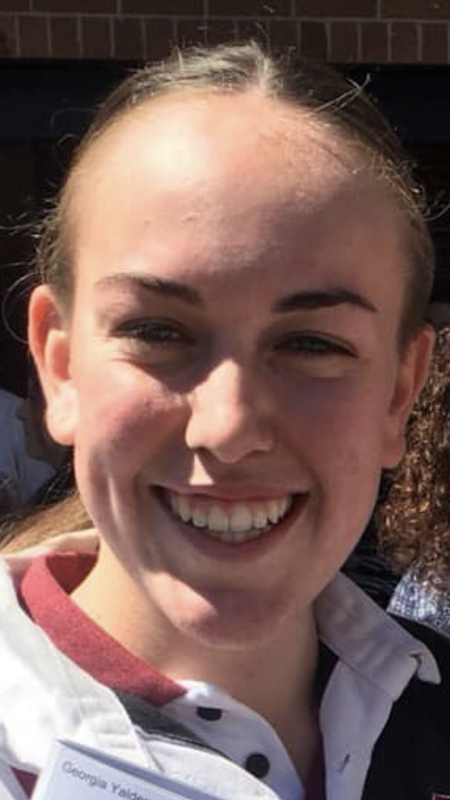 In 2018, she choreographed a Contemporary Solo for fellow DfL Teacher Miss Amy’s CSTD Modern Jazz Shield Public Performance Exam; Jason Winters [CSTD Contemporary Syllabus Creator] saw the dance performed at the 2018 NSW CSTD Showcase, and was very complimentary about this Routine. Jade began her Dance Training with Miss Carla Morgan in the Mid-Mountains in 2000. Successfully passing all of her RAD Ballet Exams [up to and including Intermediate], Jade has also achieved success with the Jason Winters Contemporary Syllabus Exams through the CSTD. Thank you Miss Jade for being such a Terrific Teacher at Dance for Life! In 2019 we welcome Miss Georgia to the Dance for Life! Teaching Team. Georgia has trained in Ballet, Jazz, Contemporary, Hip Hop, Tap, Acro and Cheer, starting at Winmalee Dance Academy in 2004, and then continuing her training with Dance Dymension from 2013 [where she was taught Ballet by Miss Angela!]. In 2017, Georgia successfully auditioned to be a member of the LoCReAdo Junior Dance Company [Sydney] and performed Contemporary Works created by Malcolm Loredo at the NIDA Parade Theatre, Kensington NSW. In this same year, her Dance Dymension Lyrical Team were undefeated in NSW AASCF Competitions, and were invited to perform at the AASCF Pinnacle Event in Melbourne, where they came 4th in Australia. Georgia has very successfully passed the CSTD Jason Winters Contemporary Exams as well as all the RAD Ballet Exams up to and including Intermediate, which she achieved in 2018. Georgia is working towards achieving a CSTD Contemporary Teaching Certificate in 2020. We look forward to an exciting year with Georgia in 2019 as she teaches classes in Hip Hop, Contemporary, Jazz and Boyzone. Miss Amy has been with Dance for Life! since 2007, studying Ballet, Jazz, Tap and Contemporary Dance Styles. Miss Amy’s Dance Exam achievements include RAD Advanced 1 Ballet, CSTD Modern Jazz Shield, Jason Winters Contemporary Level 3 and CSTD Advanced Bronze Tap. Completing her NSW High School Certificate in 2017, Miss Amy successfully passed the CSTD Modern Jazz Teacher Certificate in 2018, taught classes at Dance for Life! in Jazz and Tap and was an Assistant Teacher with Miss Angela. In 2019, Miss Amy is studying full-time at Charles Sturt University [Bathurst] as well as being a ‘Relief/Casual’ Teacher at Dance for Life! whenever she can!